Though not as well-known as competitors (such as E*Trade and TD Ameritrade), Ally Invest can certainly hold its own against the big boys. It consistently ranks near the top of customer satisfaction ratings. And best of all, it's trade fees are among the lowest of any online brokerage around. So how does this budget broker stand up against its more expensive counterparts? Read on to find out. Ally's long history goes back to 1919 when it was founded as GMAC (the financial sector of General Motors). It slowly expanded its financial services and was rebranded as Ally Bank in 2009, offering online banking with high interest rates and minimal fees. 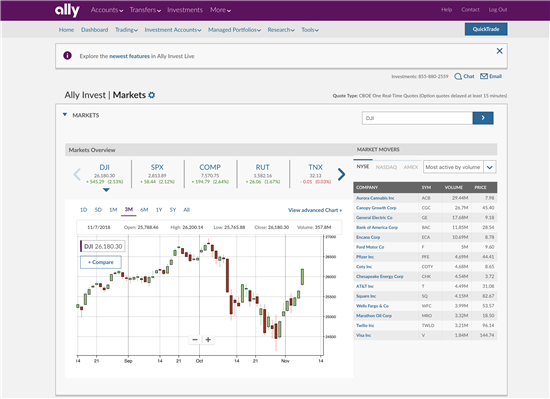 In 2016, Ally Financial acquired TradeKing, which became Ally Invest. New name, new site, and new mobile app. But same low prices and same trading features. Ally Invest charges $4.95 per trade for stocks and ETFs, which is lower than the competition. There is no minimum to open. Investments offered: Stocks, ETFs, mutual funds, options, fixed income securities, penny stocks, Forex. Account types: Individual taxable, Joint, custodial, IRAs, Coverdell, and Entity accounts. Casual traders who want a simple online brokerage account and have a basic understanding of markets and security types. Active traders or high-volume traders who can take advantage of the lower commission fees. Advanced traders who wish to trade Forex. 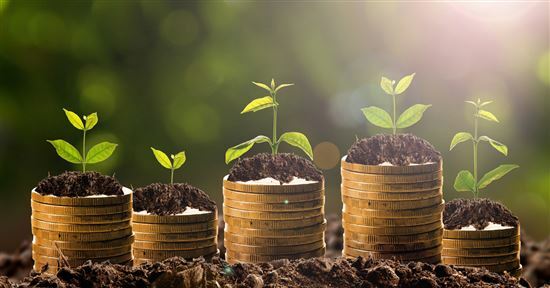 Beginners who want completely hands-off investing with Ally Invest's Managed Portfolios. If any of the above sound like you, this platform is a great, low-cost alternative to some of the more popular and widely advertised brokerages like E-Trade and TD Ameritrade. Is Alley Invest good for beginners? Ally Invest has a user-friendly platform, low fees, and no minimums, so anyone can easily get started on it. However, it does not offer extensive education material or a practice trading platform, so it may not be the best for true novices. We'll explain more below. But first, let's highlight the current Ally Invest promotions. New Ally Invest customers only with $10,000 minimum opening deposit. Account must be funded for at least 60 days to be eligible for cash bonus. New Ally Invest customers only with $25,000 minimum opening deposit. Account must be funded for at least 60 days to be eligible for cash bonus. New Ally Invest customers only with $100,000 minimum opening deposit. 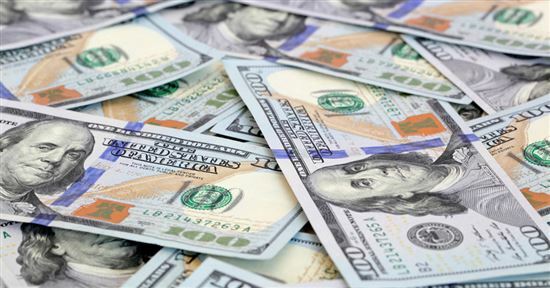 Account must be funded for at least 60 days to be eligible for cash bonus. New Ally Invest customers only with $250,000 minimum opening deposit. Account must be funded for at least 60 days to be eligible for cash bonus. New Ally Invest customers only with $500,000 minimum opening deposit. Account must be funded for at least 60 days to be eligible for cash bonus. New Ally Invest customers only with $1,000,000 minimum opening deposit. Account must be funded for at least 60 days to be eligible for cash bonus. New Ally Invest customers only with $2,000,000 minimum opening deposit. Account must be funded for at least 60 days to be eligible for cash bonus. A self-directed account. If you're comfortable trading, you can handle your own investments. There are no account minimums to open a self-direct account. And there are no maintenance or inactivity fees. If you have a margin account (which is governed by federal regulation), you must maintain a minimum of $2,000, regardless of the brokerage you choose. A managed account. If you're a beginner or prefer to be hands-off, you can get an automated managed portfolio. This is a robo-advisor that automatically picks investments for you based on your goals. You need a minimum investment of $2,500 to open. The annual fee is 0.30% of your balance. You can fund your account via electronic transfer from your bank, wire transfer, or by mailing in a check. Wire transfer will be the fastest method, while an electronic bank transfer can take 3 business days. How to login: Sign in to your Ally Invest account on ally.com. Once you're into your account, the platform is pretty simple to use. You'll see menu options across the top of the page. The Dashboard is an overview of your activities and links to other parts of the platform. You'll do all your buying and selling in the Trading tab. The Research tab is where you'll find Ally's news and research for markets, stocks, and options. Ally Invest has straightforward pricing and boasts one of the lowest fees on the market. High balance and/or volume traders get a price discount. This is defined by having at least a $100,000 average daily balance and/or making more than 30 trades per quarter. 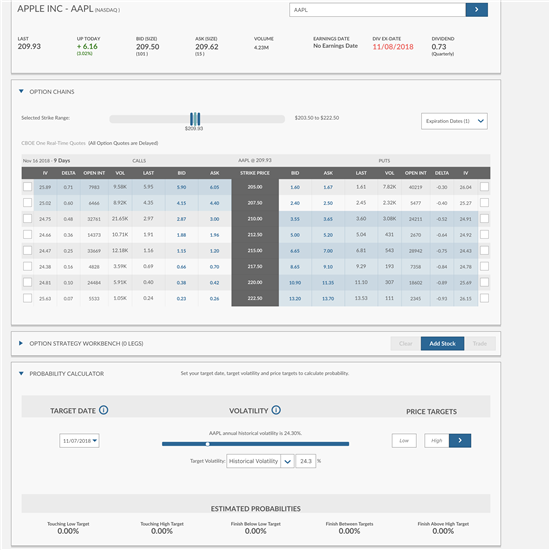 Stock and ETF trades are $3.95 per trade, and options are $3.95 + $0.50 per contract. Mutual Funds: Ally offers thousands of mutual funds, but it doesn't have any no-transaction-fee funds. 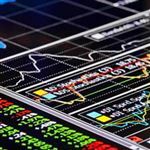 ETFs: Ally offers 100+ commission-free ETFs including WisdomTree ETFs and iShares ETFs from BlackRock. Fixed Income Securities: Corporate, agency, treasuries, municipals, strips & zeros, CDs, and new issues. Options (equity & index): Ally's platform offers very strong tools for options traders, such as options chains and profit/loss calculator. Penny Stocks: Also known as pink sheets or over-the-counter bulletin board. These are very high-risk if you don't know what you're doing. Forex (Foreign Exchange): Ally offers a robust Forex trading platform for the advanced trader, including a practice account. You need a minimum deposit of $250. Read more about it in detail below. Ally Invest's platform - called Ally LIVE - is available for free for anyone who opens an account. Customizable dashboard. You can drag/remove modules however you want. Streaming charts. 8 chart types (including candlestick, bar, mountain, and line) with 117 chart studies and 36 drawing tools. Options tools. This includes robust tools like option chains and profit/loss graph. Probability calculator. Estimate the likelihood of hitting your targets. Research data. See market stats, charts, company quotes, high/low prices, and peer performance comparisons. Does Ally Invest have virtual trading? No, Ally Invest does not offer a trading simulator. If you're a beginner and want some trading practice before committing your own money, ZacksTrade offers a demo account pre-loaded with $1 million in paper trading funds for 90 days. Ally's platform is obviously looking to bat with the big boys. But it's still lacking in some tools, such as heatmaps. It's constantly listening to feedback and making improvements based on customer needs, so hopefully even more tools will come in the future. Note: The Ally LIVE Platform works only for Windows. Mac users will have to use the web platform, which is not as advanced as the LIVE platform. If you're a beginner or just wants to be hands-off, Ally Invest offers a robo-advisor called Managed Portfolios. Ally will automatically build a portfolio for you based on your goals and risk tolerance. Your portfolio will be professionally managed so you don't have to worry about maintaining it. The minimum amount to start is $2,500. The annual fee is 0.30% of your assets under management. This is a little bit higher than other robo-advisors like Betterment, but still a lot lower than hiring a traditional financial advisor. Ally's Managed Portfolios is not the strongest robo-advisor in our opinion. It lacks tax loss harvesting, which is a feature offered by many other robo-advisors. Forex trading is done on an entirely separate platform and mobile app. Ally Forex is a separate, but affiliated, company from Ally Invest. Forex is the most popular traded market in the world. In a nutshell, Forex is traded in pairs: you're buying one currency while selling another. There's a fair amount of risk involved. Customized layout. You can choose from pre-set layouts or create your own to your preferences. Advanced charting. Includes more than 80 technical indicators, drawing tools, and integrated order management features. You can overlay technical studies and flip between charts and trade setups. You can even track, trade and modify orders directly on the charts. Automation. 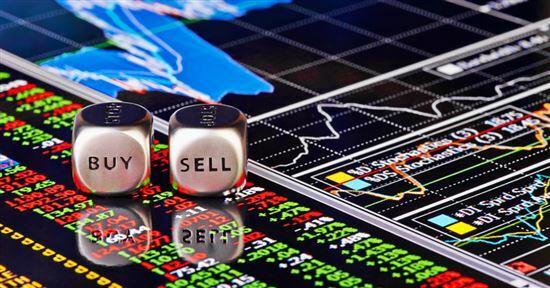 You can create a custom trading strategy and automate it for real-time buy and sell signals. Research. Stay on top of the market with streaming updates, forecasted results, and potential impacts. Practice platform. Ally Forex offers a $50,000 virtual practice account with full access to the platforms and tools for 30 days. This practice account is free, and you'll have over 50 pairs of currency to choose from. You need $250 deposit to open an Ally Forex account. But it's recommended to start with at least $2,500 so you have more flexibility and better risk management. 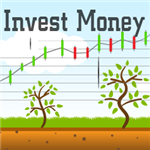 Ally Invest offers trading on-the-go with its iPhone and Android apps - Ally Mobile. It's the same mobile app as the Ally online banking. So if you use the banking services as well, you can bank and invest on the same app. Ally Invest is a member of FINRA and SIPC. SIPC covers customer claims up to $500,000, including a $250,000 limit for cash claims. While SIPC protects against the loss of cash and securities (such as stocks and bonds) in the case that Ally Invest fails, it does not protect against investment losses from the market. Forex accounts are not protected by the SIPC. Ally Invest's clearing firm, Apex Clearing, also has an additional insurance policy through London Underwriters to supplement SIPC protection. This additional insurance policy covers you if the SIPC limits are exhausted, for up to $150 million. No review of Ally Invest is complete without a look at how Ally Invest compares with E-Trade, Fidelity and TD Ameritrade. 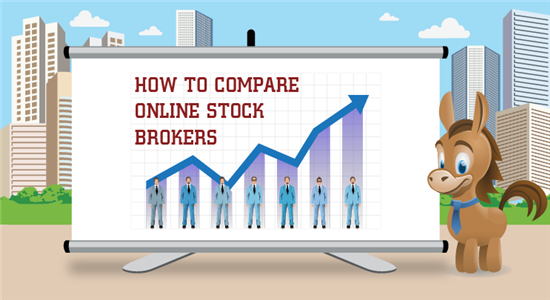 Here are the side-by-side comparisons to see how the brokers stack up. While E*Trade has higher commission fees, E*Trade does offer the opportunity to invest in a select list of commission-free ETFs from WisdomTree, Global X Funds, and db-X. Plus E*Trade offers checking account benefits and 30 physical locations across the country. $0.01 per share on the entire order for stocks priced less than $2.00. Maximum commission per order not to exceed 5% of the trade value, with minimum commission of $4.95. Integrated with banking on ally.com. Manage your Ally banking and investment accounts in one place. Checking account offers no minimum balance requirements, free online bill pay, and unlimited debit card and check transactions. Trader Network to connect with other investors ETrade Community lets you exchange trading and investing ideas with other ETrade customers. Fidelity has 265 commission-free ETFs and more than 180 branch locations. $20 + Regular Commission $32.95 per trade for representative-assisted trades. Integrated with banking on ally.com. Manage your Ally banking and investment accounts in one place. Fidelity Cash Management Account includes reimbursed ATM fees, no monthly fee, no minimum balance requirement, FDIC insurance, mobile check deposit, free billpay and free checkwriting. Ally Invest's commission for stock trades is less than TD Ameritrade, but TD Ameritrade investors have access to 100 locations in 34 states. 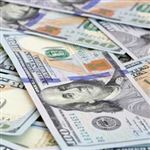 Their cash management account features will appeal to buy-and-hold investors who value service over commission and do not plan to trade frequently. Integrated with banking on ally.com. Manage your Ally banking and investment accounts in one place. Cash Management account offers free ATM withdrawals, no monthly maintenance fees, free online bill pay, and free check writing. BOTTOM LINE: IS ALLY INVEST GOOD? It's hard to beat Ally Invest's low cost of $4.95 per trade. The website may be more basic and doesn't have as extensive research and tools, but it can definitely hold its own. Ally is worth considering for the budget investor or active traders. It's also good if you want to trade options or Forex, as those have strong platforms. Leave a comment about Ally Invest Review: Pros and Cons? Finding the right online broker is a difficult task. Dozens of sites claim to offer the best solution for your investing needs, whatever they may be. These sites tempt you with the promise of having the lowest fees, the most intuitive interface, and more investment choices than the competition. Firstrade Review: Is It Good? In a perfect world, investors look for low commissions, a clean user interface, and plentiful research. Oftentimes you have to give up one of these features to have another, but not with Firstrade. This online discount broker offers a variety of benefits for new and established investors. The S&P 500 provides an average 10% return. The stock market provides an average 7% return. Does this mean you'll walk away with large profits?